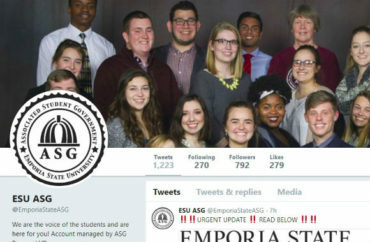 Senators lashed out at Emporia State University administrators Wednesday night for not responding to the “hate” directed at them for the impeachment threat, according to The Bulletin student newspaper. Associated Student Government executives, including the official threatened with impeachment, also canceled Thursday night’s scheduled senate meeting after moving it to a different location. President Michael Webb and Vice President Michaela Todd blamed the cancellation on “serious concerns for the safety and well-being of the campus and community,” without specifying threats. The Diversity and Inclusion Committee cited the same concerns when it rescinded its impeachment threat. “[W]e did not intend to make Vice President Todd feel isolated in her community” by telling her to resign or face impeachment, it tweeted Wednesday morning, though the statement was dated Tuesday. Though she quickly deleted the post and apologized for using a “technical” term that upset students, Todd’s political statement spurred a school-wide backlash. Impeachment supporters changed their mind, however, after meeting with General Counsel Kevin Johnson and another local attorney, The Bulletin reported. “Our biggest fear right now is if we, as a senate, move forward to impeach [Todd], we’re going to be hit with a lawsuit,” Ariana Williams, committee vice chair, told a committee meeting Wednesday. 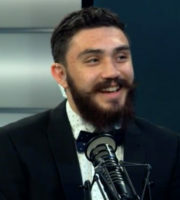 “It is important that what is learned from this episode is that Michaela had every right to her opinion, and she used appropriate language in statute law [sic] regarding illegal immigration,” History Prof. Gregory Schneider told The College Fix in an email. Todd has not responded to Fix requests for an interview since she was threatened with impeachment. Most of the Associated Student Government’s senate voted to impeach Todd last week but fell short of the required two-thirds majority. The diversity committee said it wasn’t “trying to censor” her conservative views but claimed they were “tinged in hatred and dehumanization” and should not have “a home” on campus. But Todd refused to resign on Monday night, the deadline the committee had given her, and her supporters apparently flooded impeachment supporters with negative comments. The Diversity and Inclusion Committee’s Wednesday tweet explained its rationale for dropping impeachment, and expressed its concern that Todd’s critics would “feel that their voices were invalid.” But it didn’t directly apologize to Todd. Senators and other students did not express even implied apologies to Todd at Wednesday’s meeting, however. Kara Dubois, who is not listed as a senator, criticized the committee for saying Todd “was isolated” when in fact “she was isolating a group of people that are already isolated because they are minority students,” the Bulletin reported. They included the chair of the diversity committee, Kim Nguyen, who left after less than a minute because she “couldn’t read her documents” while crying. It’s not clear how serious the alleged threats were against students who supported impeachment. The most specific threat relayed by the Bulletin came from student Madi Alford. “People [are] telling us they’re going to slash our tires, talking about lynching us,” she said. Another non-senator, Kayla Gilmore, said her “identity is on a public format, on a YouTube video, that has over 100,000 followers and got over 51,000 views in less than 24 hours leading to my Facebook profile that is now being circulated” (below). But she didn’t claim she was threatened. The way people online talk about her, black people and undocumented students “is simply ridiculous,” she said. Todd said she didn’t tolerate the “retaliation” against impeachment supporters at Wednesday’s meeting, and she has repeatedly apologized for her post, claiming it was not intentionally public. She thanked the university for its “hands off” approach, which made it a “very good learning experience” for Emporia State student leaders. Asked about possible legal action had Todd been impeached, an administration spokesperson played down its role in the shelved impeachment effort. “The university encouraged Associated Student Government to study the issue and determine appropriate next steps,” according to a statement given to The Fix by Kelly Heine, executive director of marketing and media relations. “Associated Student Government has resources at its disposal to make an informed decision, understand the ramifications of its actions, and plan a constructive path forward,” read the statement, which was given to other media outlets. Heine did not answer how the administration’s hands-off approach may have affected the student body’s safety fears.